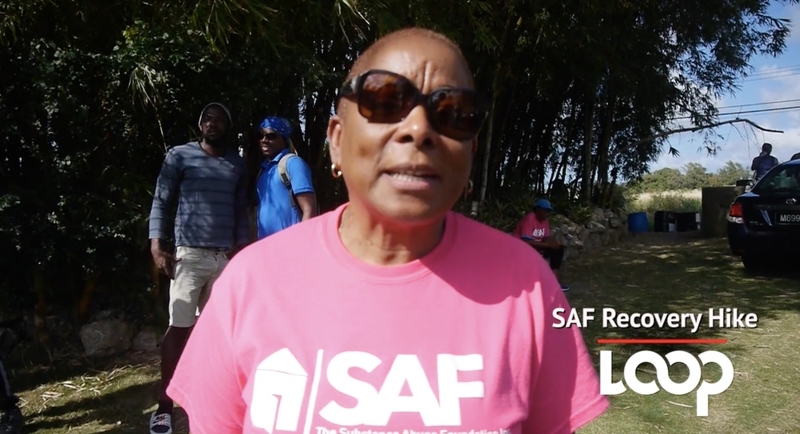 Angela Sealy, Clinical Director at the Substance Abuse Foundation were cheering on the hikers for completing the hike successfully. Addiction amongst women and teens is under the Substance Abuse Foundation (SAF) microscope. 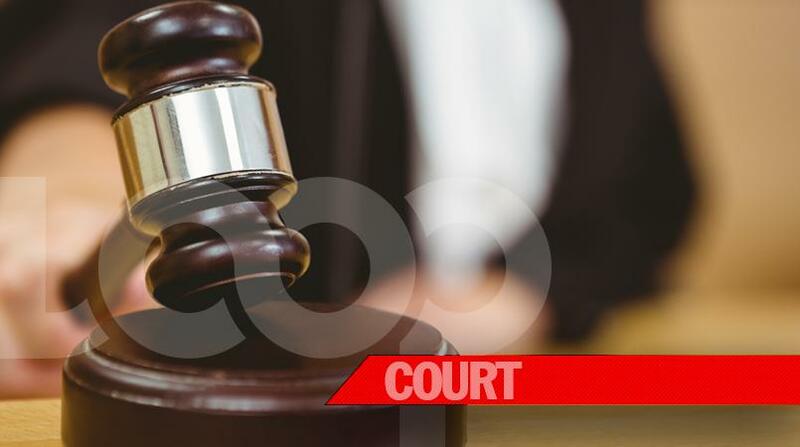 Clinical Director of Substance Abuse Foundation, Angela Sealy said that it's not only men battling alcohol and drug addiction in Barbados but they are seeing women and students as well. This year, the theme for Drug Awareness Month 2019 in Barbados is 'Women of Substance'. 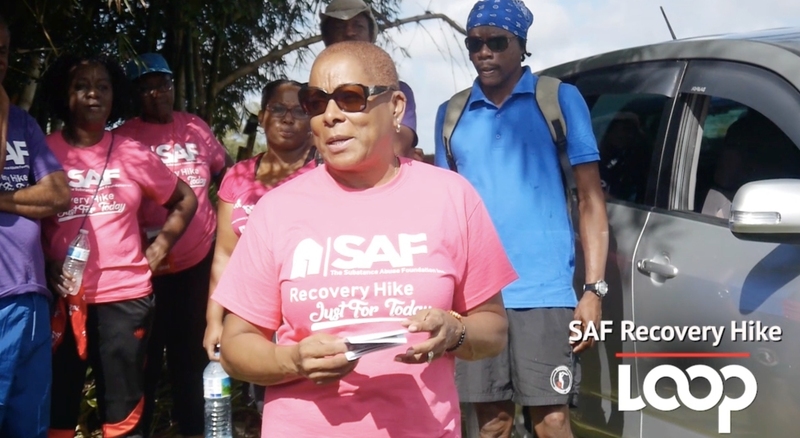 Sealy was speaking to the media after the SAF's Recovery Hike on Saturday, January 12, 2019, at Verdun House, in association with the Barbados Hiking Association. It was their first hike. 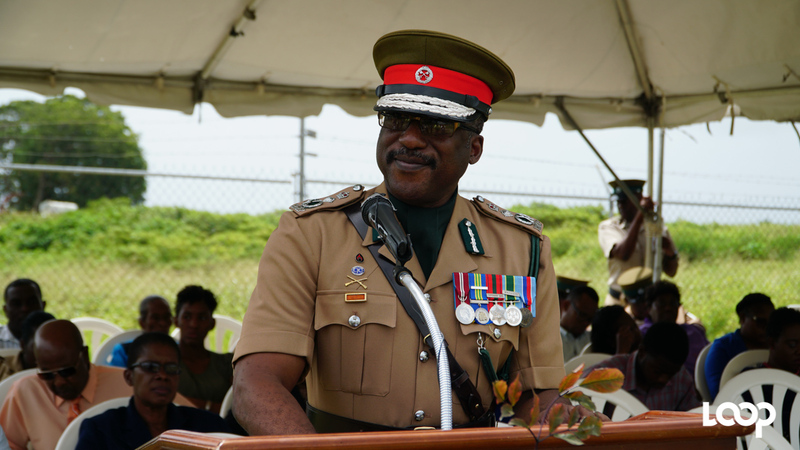 Sealy told media persons that though alcoholism is prevalent, they are not only seeing alcohol addiction but "crack, cocaine" addictions are presenting too. Asked about the gender-split, she said that women are presenting but women, especially mothers find it difficult to make the decision to join the SAF Rehabilitative programmes because they worry about the care of their offspring. "It takes a lot for a woman to come in for treatment," she admitted. Photo credit: Hikers of all ages - men, women, girls and boys, with some even bringing their pet dogs, walked in the inaugural SAF Recovery Hike. However, she hammered home the point that as much as SAF wants persons to come and get the help and assistance, they will not force persons to join. Sealy said that rehabilitation has to be the individual's decision. "It's not prison, it's not jail; and if you come, you may not be ready and we can't force you to stay. We would like you to stay, your counsellor will speak with you, I'll have a conversation with you to see what went wrong, why it is you want to go. "Sometimes not everybody is ready." 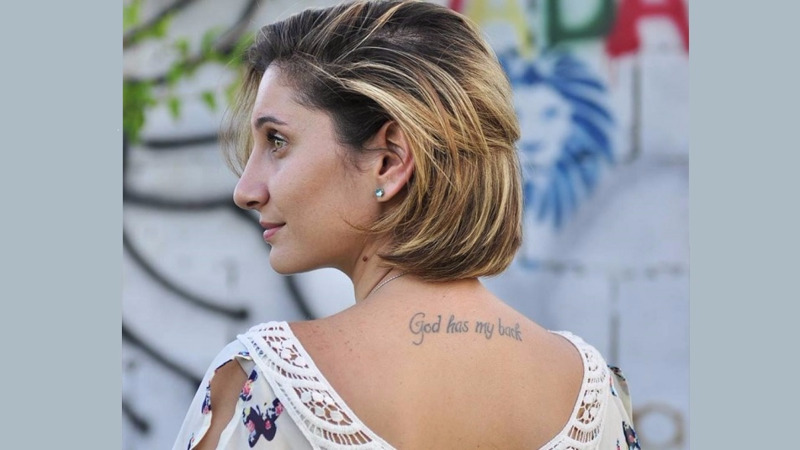 On the flip side, as it relates to addicts who are minors, she said that parents have to step up to the plate and take the proverbial bull by its horns, because many only notice when it's late. Photo credit: Clinical Director at SAF, Angela Sealy wants parents to look out for their children as they are "our future". "We have to look at that population... If you see your child or your children acting not the way they've been acting, and I know people say, you shouldn't search but what is it that you are going to do to help your child?" Sealy called on parents to be vigilant, "sit and have a conversation with them...reach out to us, get some help." 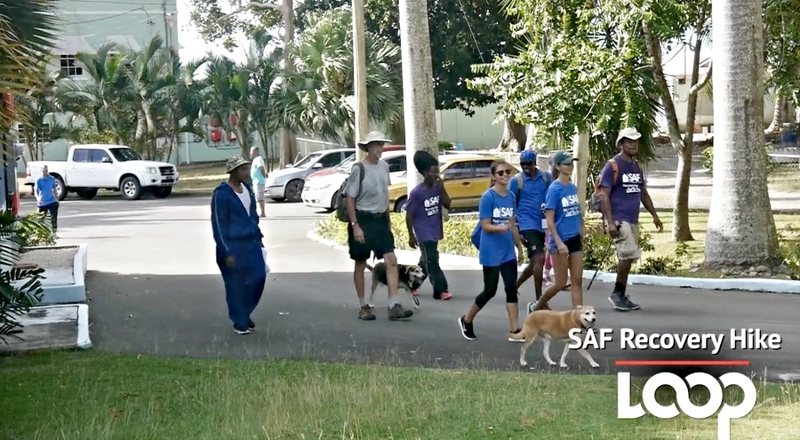 Harewood Centre, Christ Church on January 17, 2019, and on Sunday, the SAF committee and volunteers will be feeding the homeless at the Salvation Army January 20, 2019.